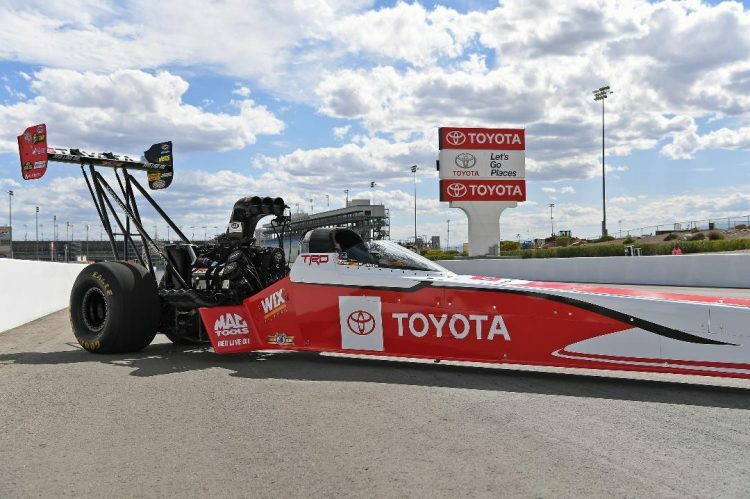 Toyota and Kalitta Motorsports announced today that the auto manufacturer will be the primary sponsor of Doug Kalitta’s Top Fuel dragster at the upcoming SpringNationals at Houston Raceway Park, April 12-14. Kalitta will make his first pass aboard the Toyota Top Fuel dragster in Friday’s first qualifying sessions at 4:30 and 7:15 p.m. (CDT). Qualifying then concludes on Saturday with eliminations on Sunday April 14. Eliminations will be broadcast on FS1 beginning at 6:00 p.m. (EDT).